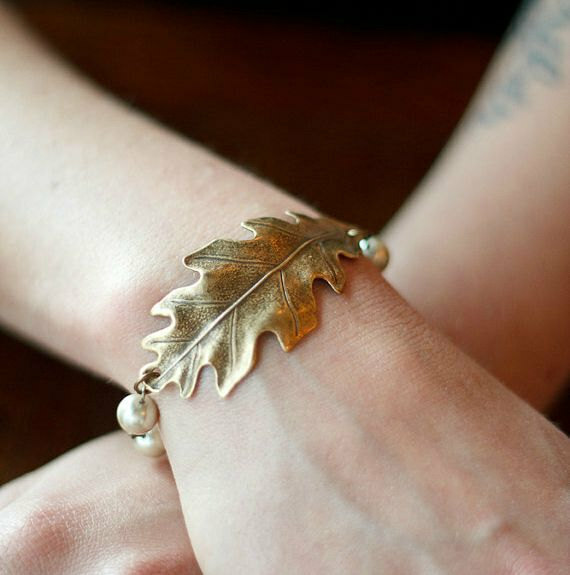 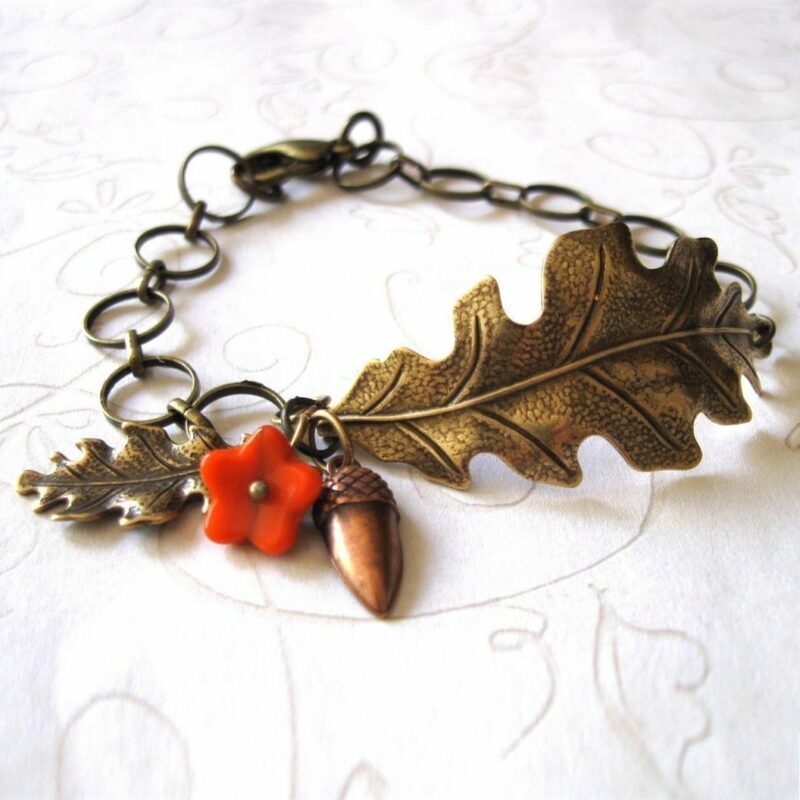 Here is a pretty nature inspired oak leaf bracelet, featuring one large, nicely detailed brass oak leaf, along with a brass acorn charm, a small brass oak leaf charm and one orange flower bead. 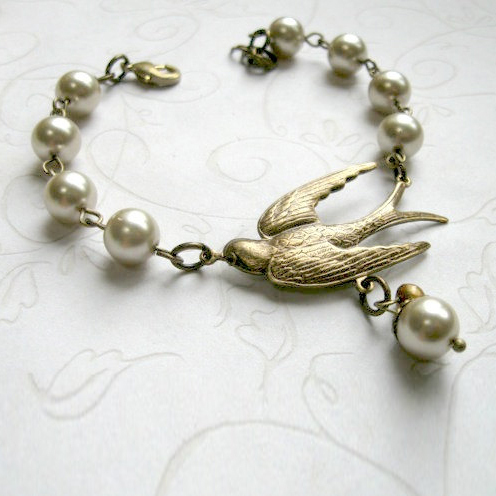 This lovely bracelet comes with a unique round brass link chain and is closed with an antiqued brass clasp. 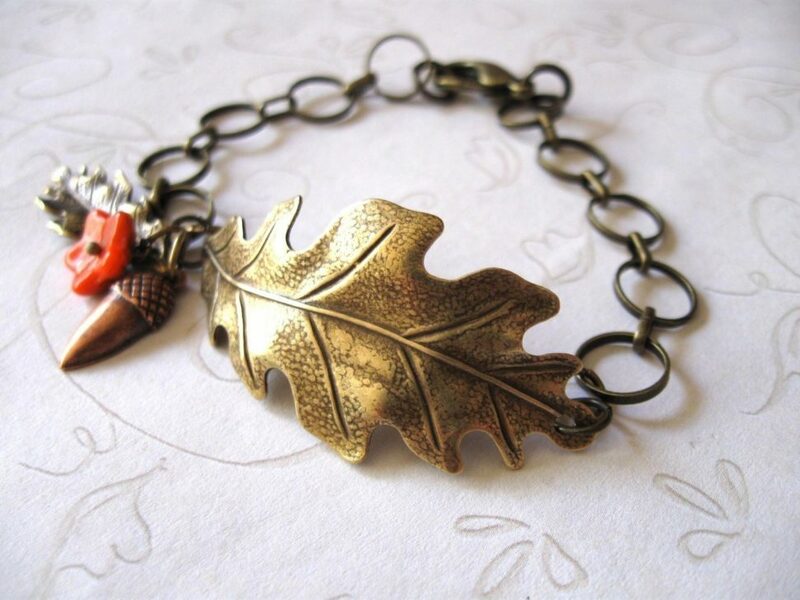 Perfect for any nature lover, this bracelet comes packaged in lovely gift box. 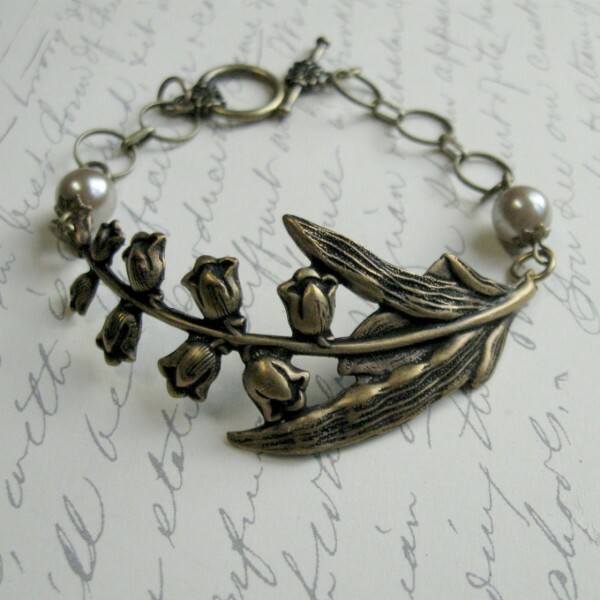 Please choose your desired bracelet length from the drop down menu.